On March 20, a live online broadcast of a solar eclipse from the Svalbard archipelago will be organized. This is one of the most anticipated astronomical phenomena of the year. In most parts of Russia, the solar eclipse will be partial — the day-star will not completely hide from us. A total solar eclipse on the territory of Russia can be observed in the Murmansk region. According to preliminary data, the sun will close at 91%. During the maximum phase in this region it will darken so much that Venus can be seen near the Sun. 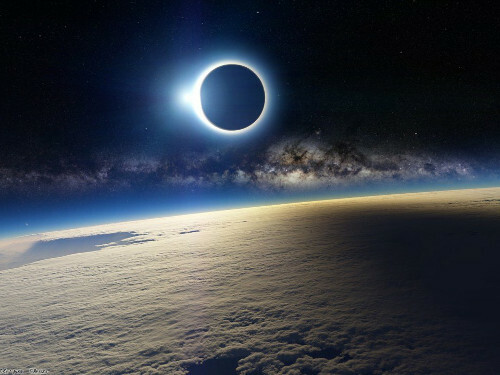 See total solar eclipse March 20 in Russia it will be possible not only to residents of the Murmansk region. From anywhere in the world you can watch the online broadcast of this phenomenon. Live cameras installed on the Spitsberegen archipelago will be able to show the solar eclipse in all its glory. We can only hope for a clear cloudless weather. The beginning of a live broadcast of a solar eclipse is March 20 at 10:30. In Moscow, a solar eclipse will begin at 12:12 Moscow time. The maximum phase will be 65%, and the duration — 2 hours 14 minutes. Most of the Sun will disappear behind the Moon, and the star will appear before us in the form of a sickle.